Success in business demands an organization that is agile, innovative, and alert, capable of reinventing itself to handle whatever comes its way. Yet most attempts at transformational change fail, hamstrung by poor strategy, office politics, and stakeholder resistance. 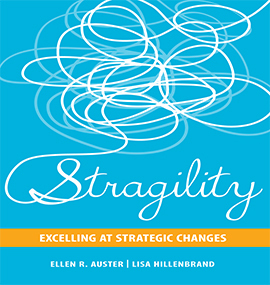 In Stragility, Ellen Auster and Lisa Hillenbrand provide an action-oriented approach that helps leaders at all levels to navigate these challenges while building skills and capabilities, using the field-tested framework that the authors have applied in Fortune 500 companies, small businesses, and social sector organizations. Packed with concrete tips, action steps, and tools, this book offers advice on how to navigate the politics and emotions of change, as well as inspire and engage leaders and stakeholders in creating a high-energy organization that will excel. 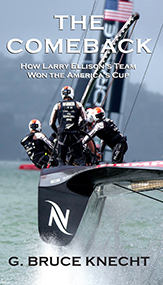 Larry Ellison had poured more than $200 million into his 2013 America’s Cup campaign, but Oracle Team USA was down 1–8. New Zealand needed just one more win. Oracle ultimately beat back the odds in what has been called the greatest comeback in the history of sport. But was it? 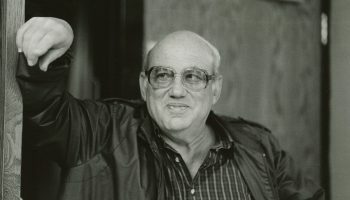 G. Bruce Knecht, a best-selling author and former Wall Street Journal reporter, set out to tell the full story of this remarkable feat in his newest book, only to find that the team used a sailing technique that was prohibited under the rules. The Comeback is more than an exposé. It is a narrative that describes a perilous re-engineering of the boat, a crucial crew change, and the kind of superhuman personal effort that sometimes develops with teams that have nothing to lose. Author Helen Saul Case has had lifelong experience with nutritional medicine, so when she found pregnancy challenging, she realized that the best use of vitamins to effectively address those health issues was absent from the guidebooks. Standard prenatal vitamins don’t come close to meeting the needs of all women, she asserts. 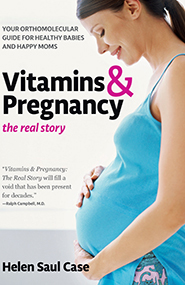 Vitamins & Pregnancy is a comprehensive nutritional guide. It covers how good nutrition ensures baby’s best development in utero, with lifelong benefits for mother and child; how vitamin C helps prevent birth defects, postpartum hemorrhages, and even stretch marks; how magnesium helps cramping legs and aching backs and vitamin B6 alleviates morning sickness; and optimal vitamin and mineral intakes during breastfeeding. In addition, Case offers nutrition-based advice to help alleviate more than 35 pregnancy issues, from acid reflux and yeast infections, to postpartum challenges, including depression and losing weight. Up The Hill: A Tale of Colgate University presents the familiar history and traditions of Colgate in a format for children. 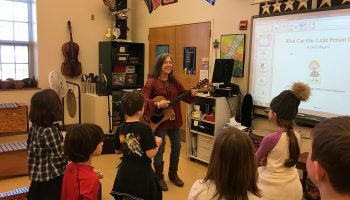 The idea was born when Rentschler returned to Colgate last year for her 10th Reunion and, after searching for a book to explain the university to her toddler, found that none existed. 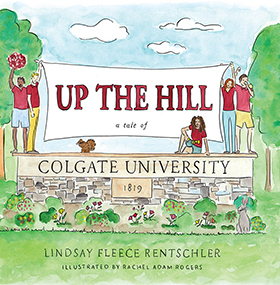 Inspired to help other parents share their love for Colgate with their children, Rentschler began writing and reached out to Rogers, a graphic design artist, to illustrate Up the Hill. Their subsequent partnership resulted in this 48-page book featuring a host of Raider traditions, including the lyrics to the Colgate alma mater and a hidden number 13 on each page. In Cameroon in 1931, 9-year-old Sara is taken from her family and brought to Mount Pleasant as a gift for Sultan Njoya, the Bamum leader cast into exile by French colonialists. Sara is on the verge of becoming one of the sultan’s hundreds of wives when her story takes an unexpected turn. She is recognized by Bertha, the slave in charge of training Njoya’s brides, as Nebu, the son Bertha tragically lost years before. In Sara’s new life as a boy, she bears witness to the world of Sultan Njoya. 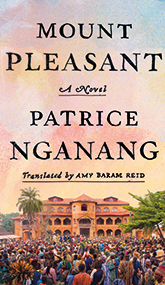 Seven decades later, a student returns home to Cameroon to research the place it once was, and she finds Sara, silent for decades, ready to tell her serpentine tale. In Sara’s story, a lost kingdom lives again in the compromised intersection between flawed memory, tangled fiction, and faintly discernible truth. 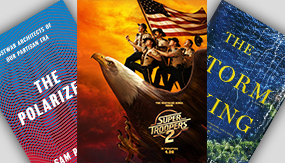 History is invented anew and transformed: a man awakens from a coma to find the animal kingdom dancing a waltz, a spirit haunts a cocoa plantation, and a sculptor recreates his lost love. Threaded to place, and unraveled by days, our bodies wear the evidence of intimacy. How to dwell, day after day, how to make it go? In the spirit of A.R. 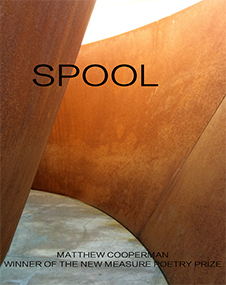 Ammons’s Tape for the Turn of the Year, Matthew Cooperman’s Spool is a collection of vertical poems written as a “year in threes,” with three-word lines forming narrow columns reminiscent of threads gathered into the titular spool. The poems in this New Measure Poetry Prize winner tackle issues from domestic strife to childhood illness and war culture to the passing of time, weaving together the “threads” of past and present to tell the story of the sadness and surprising joy of one man’s last seven years. With his two daughters, Craig Hatkoff tells the true story of Cecil, a real-life lion king. News of Cecil’s tragic death last summer spread across the globe like wildfire, raising questions to an unprecedented level about our relationship to our animals and our planet. 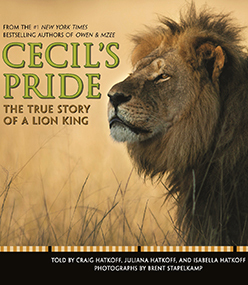 Featuring photos of Cecil and his pride, the book is a tale of resilience and responsibility — a triumph out of tragedy. Discover Cecil’s struggle to survive as a young lion, his rise to power, and his extraordinary alliance with Jericho, his former archrival. Cecil is gone, but his legacy lives on. The world knows the story of how Cecil died. This is the story of how he lived. The Hatkoff trio has published a number of other nonfiction children’s books, including the #1 New York Times best-selling Owen & Mzee. Having devoted much of his life to the study of social justice, Phillip M. Richards, professor of English emeritus, was inspired to contact the journal DoveTales upon its inception in 2013 and offer his expertise. Ever since, he has served as associate editor of the literary journal, whose mission is “to promote writing that explores the many aspects of peace.” It features young people from around the world whose stories, essays, poems, art, and photography address cultural identity, human rights, and environmental issues, among others. DoveTales is sponsored by the Colgate University Research Council and published by Writing for Peace, an international nonprofit organization. At Colgate, Richards served as the Arnold Sio Chair of Diversity and Community from 2012 to 2014. He has published numerous articles on black academic life, in addition to his memoir, An Integrated Boyhood: Coming of Age in White Cleveland. The early life of Marija Bulatovic ’98, who was raised in the former Yugoslavia, was anything but ordinary. Bulatovic’s childhood involved a number of adventures with bears, gypsies, odd family members, and unorthodox neighbors. 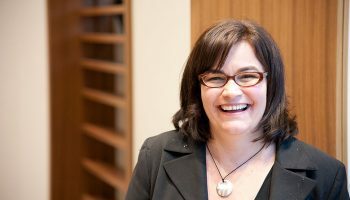 For her 2015 memoir, Fantastical: Tales of Bears, Beer and Hemophilia, Bulatovic received a 2016 Feathered Quill Book Award. The book, which notes the oddity of growing up in a country and childish state of mind that no longer exist, received the silver medal in its category. In a new edition of the guidebook Writing, Directing, and Producing Documentary Films and Digital Videos (Southern Illinois University Press), filmmakers Ned Eckhardt ’63 and Alan Rosenthal show readers how to utilize the latest innovations in equipment, technologies, and production techniques for the digital, web-based world of documentary filmmaking. Bleak Splendor (Lulu.com) by George Held ’57 is a collection of 23 of his darkest poems that span a range of subjects, including war, loss, mortality, and wealth, and offer somber, yet illuminating wisdom regarding the interconnectedness of life and pain. David W. Johnson ’78 outlines how market-driven reform, more than regulatory change, will transform and improve America’s broken health care system in his new book, Market vs. Medicine (self-published). Attorney Bernard Resnick ’83 offers his 28 years of legal experience with his recent book, The Croak List (CreateSpace), which provides a detailed estate-planning questionnaire that will enable family and friends to provide better assistance to loved ones during times of need.